Effective July 2008, Florida Statutes 322.24 went into effect concerning whether certain offenses for driving while license is cancelled, suspended or revoked are misdemeanors or felonies. If a driver whose license or driving privilege is cancelled, suspended or revoked and has knowledge of his or her cancellation, they understand they are committing a criminal traffic offense. The following charges are possible: (1) First conviction is a second degree misdemeanor; (2) Second conviction is a first degree misdemeanor; (3) Third, or subsequent conviction, is a third degree felony and possible jail time may have to be served. If a driver whose license or driving privilege is cancelled, suspended or revoked and has no knowledge of his or her cancellation, they understand they are committing a non-criminal traffic infraction, unless he or she is a Habitual Traffic Offender (HTO). *If a driver whose license or driving privileges is revoked as a Habitual Traffic Offender , they are guilty of a third degree felony. The penalty of driving with your license suspended, whether you have knowledge or not, holds serious consequence(s). Hiring a Criminal Defense attorney may be beneficial for you. An attorney helps you check your record and assists you in sorting out your license issue(s) to get you back on the road as soon as possible. Contact Blick Law Firm today if you find you have been charged due to driving with a cancelled, suspended or revoked license in Florida. Driving Under the Influence (DUI) has severe consequences which not only affect your immediate lifestyle, but affect you financially as well. There are certain factors involved in DUI cases that can determine how severe your sentence(s) may be, thus resulting in financial hardship. Charges for a first time offense start at $500 and can be as high as $1,000 in court fines; depending upon the severity of your blood alcohol level at the time of arrest. All cases may be faced with jail time. Repeat offenders are more likely to incur higher court fines and/or community service hours. According to Florida Highway Safety and Motor Vehicles, Fine Schedule s. 316.193(2)(a)-(b), F.S. Third Conviction: More than 10 years from second: Not less than $2,000, or more than $5,000. With BAL of .15 or higher or minor in the vehicle: Not less than $4,000. Blood alcohol level also plays a part to the results of one’s case. Under Florida law, DUI is one offense, proved by impairment of normal faculties or unlawful blood alcohol or breath alcohol level of .08 or above. In many cases the more severe the blow, the higher the punishment of one’s case. These are just a few factors that determine the sentence of one’s drinking and driving offense. Hiring a Tampa DUI attorney may be beneficial to the outcome of one’s case. An experienced attorney attempts to avoid jail time at all costs and keep punishments to a minimum, allowing the defendant to cope and move on with their life. 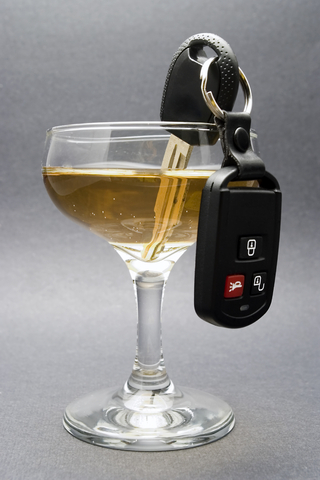 If you are in need of a DUI criminal attorney, call Blick Law Firm today at 813-931-0840, for a free consultation. Attorney, Michael C. Blickensderfer, not only helps those in need with their legal rights, but assists in guiding clients in the right direction for a better and prosperous future. Think quick, call Blick! 1) When filing for bankruptcy, you will need to provide proof of income. 2) Recent payments need to be documented and reported for items including but not limited to: automobile payments, maintenance, rent, groceries, all household expenses, etc. 3) Itemizing your assets or items of value. This includes: bank account, 401K, cash on hand, valuable jewelry or the like. 4) Whether or not you intend to repay, you must record any accumulated debt you have acquired. 5) You may also need to provide information on certain transfers of money or property in the past recent years. Filing for bankruptcy may be complex so it is important to hire a competent and experienced Tampa bankruptcy attorney to assist you through this stressful process. Call 813-931-0840 today for a free consultation on how we can assist you through your bankruptcy filing process. What are the punishments for street racing on the highway? Today’s topic:What are the punishments for street racing on the highway?? Whether you have been caught street racing on the highway or just a passenger of such action, consequences may follow. Watch today’s Minute with Mike video regarding the consequences of street racing in Tampa Bay. Blick law Firm is a local Tampa Bay legal firm specializing in Tampa chapter 7 bankruptcy, Tampa personal injury, criminal and real estate law all across the state of Florida. For further information regarding our legal services please visit our website at www.blicklawfirm.com.